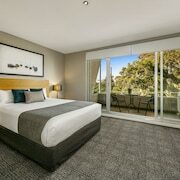 This family-friendly Carlton hotel is located near the airport, within a 10-minute walk of University of Melbourne and Royal Exhibition Building. Princess Theatre and Queen Victoria Market are also within 1 mi (2 km). Melbourne Central Station is 17 minutes by foot and Parliament Station is 19 minutes. 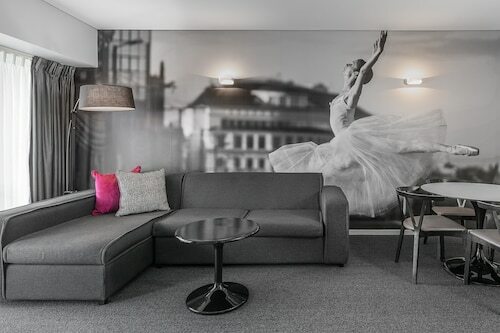 Located in Melbourne Central Business District, this hotel is within a 5-minute walk of Comedy Theatre, Her Majesty's Theatre, and Old Melbourne Gaol. Melbourne Central and Princess Theatre are also within 10 minutes. Melbourne Central Station is 7 minutes by foot and Parliament Station is 10 minutes. 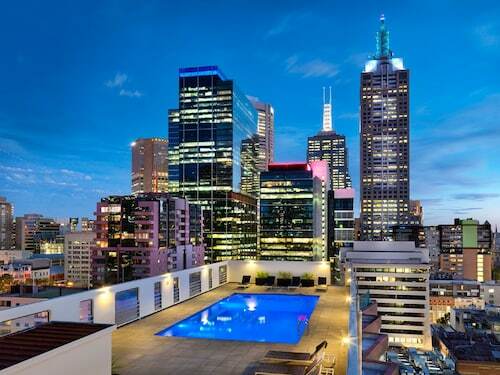 Located in Melbourne Central Business District, this hotel is steps from State Library of Victoria, Melbourne Central, and RMIT University. QV Centre and Old Melbourne Gaol are also within 10 minutes. Melbourne Central Station is only a 3-minute walk and Flagstaff Station is 10 minutes. 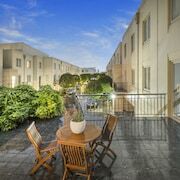 Located in Melbourne Central Business District, this hotel is within a 10-minute walk of Queen Victoria Market and Melbourne Central. Royal Exhibition Building and Carlton Gardens are also within 15 minutes. Melbourne Central Station is 7 minutes by foot and Flagstaff Station is 13 minutes. 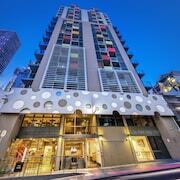 Located in Melbourne Central Business District, this hotel is steps from Emporium Melbourne and Bourke Street Mall. Melbourne Central and Her Majesty's Theatre are also within 10 minutes. Melbourne Central Station is 6 minutes by foot and Parliament Station is 13 minutes. 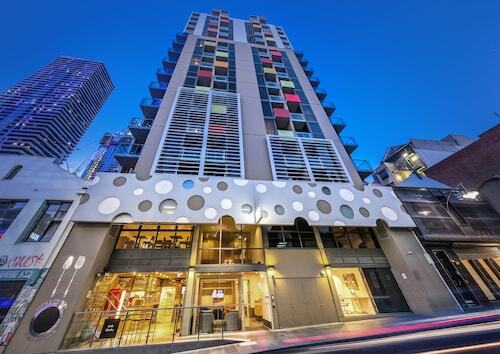 This family-friendly Melbourne hotel is located in the entertainment district, just steps from Collins Street and Flinders Lane. Bourke Street Mall and Regent Theatre are also within 5 minutes. Flinders Street Station is only a 4-minute walk and Melbourne Central Station is 11 minutes. Tourists rarely miss the chance to visit Melbourne Museum. Visiting this attraction will probably mean spending some nights in Melbourne. Sound good to you? We could think of much worse places to be than the bustling state capital! 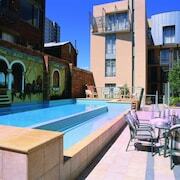 Book a room in one of the 41 accommodation options within a stone's throw of Melbourne Museum. 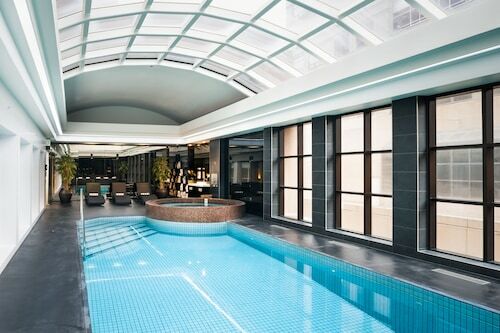 Why not check out the Park Hyatt Melbourne, Melbourne Marriott Hotel and Ovolo Laneways? 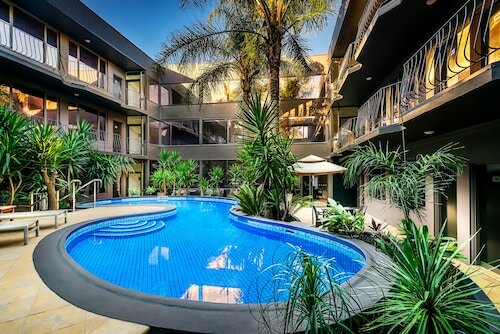 If you're hunting for places to stay towards the cheaper end of the scale, you'll have lots to choose from. 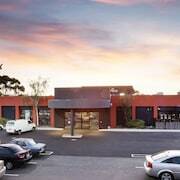 The Nomads Melbourne and the Discovery Melbourne Hostel are a short 2 kilometres and a kilometre away, respectively. If you like being pampered, then how about you book one of the finer hotels in the area? 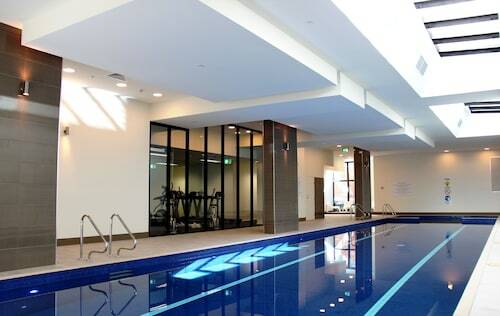 You won't regret booking the Grand Hyatt Melbourne or the Westin Melbourne, a kilometre and a kilometre away, respectively. To get yourself a delicious pick-me-up, go to Brunetti Carlton (380 Lygon Street, Carlton). 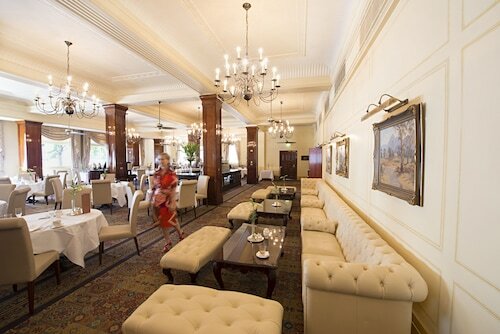 If you're searching for a spot for lunch or dinner, check out The Hotel Windsor. This popular restaurant is located at 111 Spring Street, Melbourne. On a sunny afternoon, there's nothing better than having a rest in Carlton Gardens. Evidence of a rich, cultural past lie through the doors of Royal Exhibition Building. When you're searching for a spot of culture, head straight for Alcaston Gallery, an exhibition space that will invigorate you with its extensive collection of canvases. If you're looking to fill in a few hours, appreciate the artefacts at Fire Services Museum of Victoria. With numerous stimulating and remarkable pieces of art, Sutton Gallery makes for a top-notch experience. 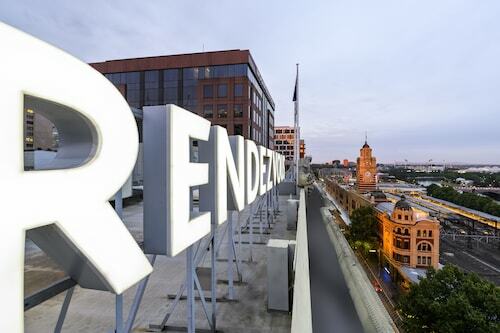 Say bye-bye to your driving worries, and catch the train to Flinders Street Railway Station, the closest station. It's just 2 kilometres from Melbourne Museum. 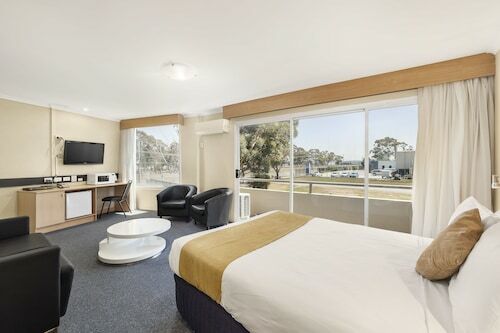 How Much is a Hotel Room in Melbourne Museum? 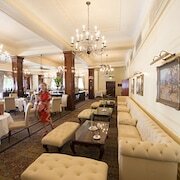 Hotels in Melbourne Museum start at AU$94 per night. Prices and availability subject to change. Additional terms may apply.